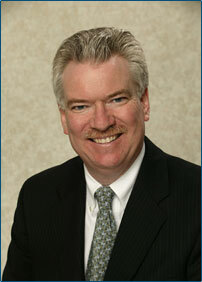 Dr. Dennis Cantwell, O.D., has been practicing optometry in Northern Virginia since 1979. From his very first years of working with patients, his interest has been in providing the safest, and least invasive means of correcting his patients’ vision problems. For this reason, he introduced Orthokeratology to his practice in the early 1990s. He has seen many hundreds of patients through this process, leading them to clear vision without glasses. Dr. Cantwell is certified in the use of contact lenses used for our overnight Ortho-K therapy. Long ago, Dr. Cantwell understood that the only way to give the patient the best service possible, was to spend a good amount of time during the exam, learning their health history as well as vision care needs. For this reason, your exam time will not be twenty minutes with a technician and five minutes with the doctor. You entire exam (approximately one hour), from beginning to end, will be performed by Dr. Cantwell. Additionally, for those with any concerns about the procedure, Dr. Cantwell gladly spends the necessary amount of time with a patient during the initial exam and evaluation answering any questions the patient might have.